As educators in Spokane battle the proliferation of e-cigarette puffing in the classroom, state regulators are eyeing stricter and clearer rules for the sale of vaping products. New proposed rules from the state Liquor and Cannabis Board, which were presented at a meeting held in Spokane earlier this month, require full disclosure of business owners to regulators and impose escalating fines for failure to follow state laws, including allowing those under 18 to enter stores where vaping devices can be sampled. The Washington Liquor and Cannabis Board was given enforcement duties of the vaping industry by state lawmakers in 2016. That law prohibited sales to people under 18 and required any business selling vaping products, including those without nicotine, to obtain a $175 annual license from the state. The new rules, which likely will be revised before coming to the Liquor and Cannabis Board for a final decision, are intended to put vaping products on the same regulatory playing field as alcohol and marijuana, said Mikhail Carpenter, a spokesman for the board. Some of that regulation falls to the state, but much of it rests with federal authorities at the Food and Drug Administration, Carpenter said. The same year the state began regulating shops selling the products in Washington, the FDA announced a rule that the industry fell under their regulatory guidelines for tobacco, which included a ban on sales to minors and required inspections of retailers by federal authorities. The FDA has threatened to institute bans on certain vaping products if underage consumption numbers, which by all accounts are skyrocketing, don’t drop. Meanwhile, the vaping industry in Washington has been making its case against what they say are burdensome local regulations on a product that is intended to get users to stop smoking, rather than hook teens on nicotine in their formative years. A coalition of vapor industry owners, called the Pink Lung Brigade, sued the health authority of Tacoma and Pierce counties after they passed more stringent regulations on vaping shops than those imposed by the Liquor and Cannabis Board. A ruling for the vaping shops is under review by the Washington Courts of Appeal. Vaping businesses are willing to work with state regulators on rules that make sense for their industry, said Kim Thompson, president and co-founder of the trade group. “If we don’t step up to the plate, and show that we care, they’ll regulate us however they see fit,” she said. The new rules from the state would seemingly clear up one lingering question Thompson said her industry continues to grapple with – the sale of a type of cannabis extract called cannabidiol, or CBD, in vaping products. CBD is often marketed for therapeutic purposes, and a new Washington law passed last year eases restrictions on sales of the products if they contain trace amounts of tetrahydrocannabinol, or THC, the psychoactive element in marijuana. 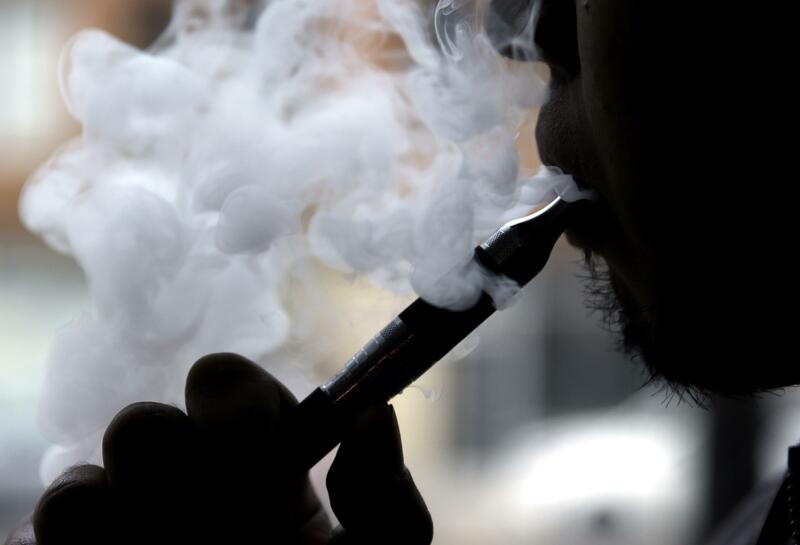 The proposed rules from the Liquor and Cannabis Board prohibit state-licensed vaping stores from “possession of, sale, or offer for sale of CBD vaping products,” levying a $200 fine for the first offense. After that, penalties escalate and can include taking a store’s license. But CBD products come in other forms, including lotions and tinctures, that seemingly wouldn’t be affected by the new rule. Crystal Oliver, executive director of the Washington Sungrowers Industry Association that advocates for outdoor marijuana farmers, applauded the Liquor and Cannabis Board for taking steps to regulate CBD sales at vaping shops. Limiting the sale of such products to stores licensed under the state’s legal cannabis system would require that the products be tested for potency, pesticides and heavy metals before sale. Carpenter said a new draft of Liquor and Cannabis Board rules on vaping stores likely would be available for public review in February. The organization sent notice of the new rules to roughly 1,400 licensed vapor shops in the state.